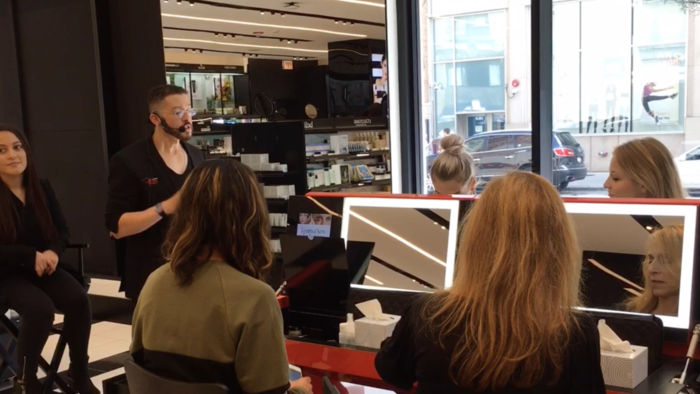 Beauty retailer Sephora opened its 400th location, on Chicago’s Magnificent Mile, on Friday. 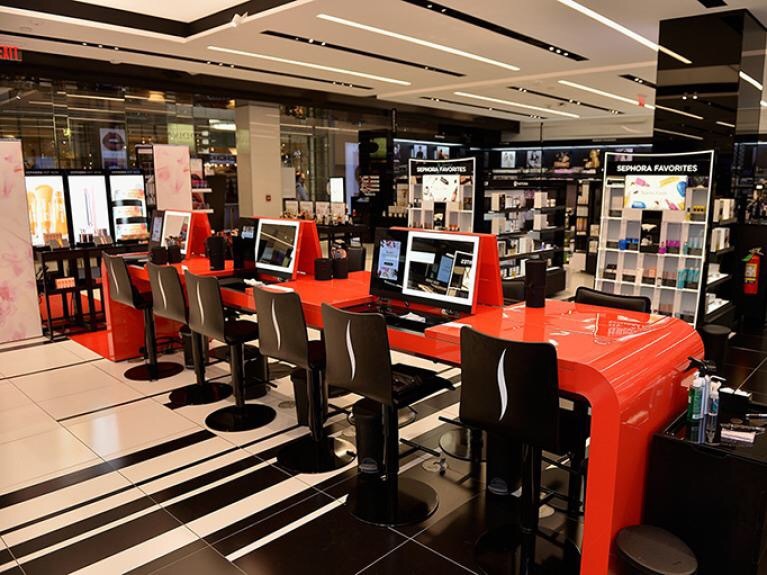 The location is one of the first where customers can get a look at Sephora’s new Beauty TIP Workshop — named after the company’s “teach, inspire, play” motto with more high-tech touches and space for classes and experimenting with products. 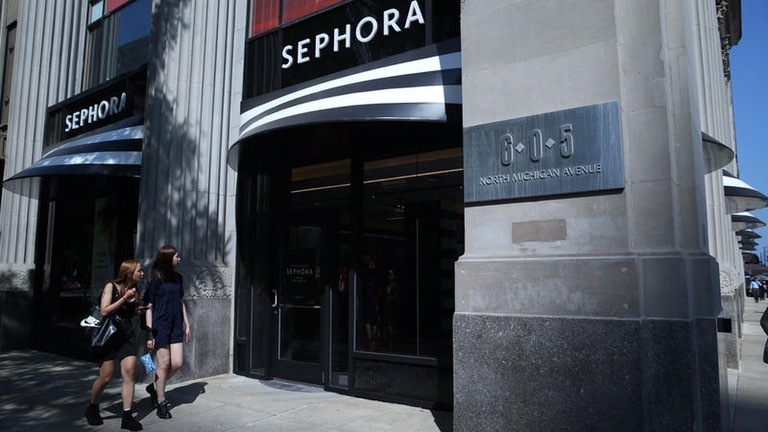 Sephora Americas President and CEO Calvin McDonald talked about the new store look and why Sephora is “bullish on brick-and-mortar retail” in a chat with the Tribune on Thursday. The interview has been edited for length and clarity. Q: Why did you think Sephora needed a new concept? A: We build and have built beautiful stores. Knowing we were going to be dialing up our physical expansion plans, with more stores and more refreshes, it was the right time to hit a reset, rethink, and really build the store front to back, side to side, which we hadn’t done probably in six years. Q: What are some of the biggest changes people will see with the Beauty TIP Workshops? A: We believe teaching beauty is a competitive advantage, and when you look at other choices clients have, it’s one only Sephora can bring to life and have a credible position in. We’ve been doing it over the years, but we really wanted to formalize it and bring it to life in our brand, and we need a stage to allow us to do that. At the center, you’ll see the Beauty Workshop, where we run beauty classes while the store is in operation. There are 12 screens, and a trained cast member walks you through it right then and there, so it’s a learning environment supported by technology. There are more seats for the Beauty Studios, and we’ve added services in skin care and fragrance. Michigan Avenue has the first fragrance studio, so we’ll start the consultation at our Fragrance IQ (a station that walks customers through scent categories like floral or spicy before an “InstaScent” machine emits a jet of scented air to let them test the options). I’ll ask, “What notes do you like?” and if you’re like most clients, you’ll say, “I have no clue.” It emits the raw note so you can sit there not skewed by Johnny Depp and the millions spent trying to represent a brand, you really get the raw note and figure out what you like. We’re scouting and discovering new brands, and we’re bringing an unbiased experience to (the customer). We’ve linked in service with the studio that allows us to express it and teach, and we’re bringing that formula from skin care to fragrance, the formula that’s worked so well in color. Q: You say you’re bullish on brick-and-mortar stores. Not everyone in retail feels the same, so why is that? A: If the sole purpose of your physical environment is nothing more than to transact, you’re in trouble, because dot-com can transact more conveniently and more easily than a physical environment. We believe that our retail footprint exists to do so much more than just transact. It’s designed to provide a service, a mini-makeover, it’s designed to teach, where you can sit down and have an interaction with a cast member. (The transaction is) the end result of her exploring, her learning, her being inspired and playing and having fun. Q: It’s a tough time for a lot of retailers, mall-based ones especially. Does that affect Sephora, if the mall overall is less inspiring? A: We love the centers we’re in, and we’re expanding and investing in them and seeing great success. Our mall-based business is growing at the same rate as our other portfolio component, so we’re very excited. But we see opportunity in testing and developing other concepts. Not every mall is equal. You look at the A-plus and A malls, they’re doing well. There’s a few more we’d like to be in, and we’d like to expand and reinvest in some so we can bring a better client experience. But as we look at where are we going to grow our store base, I think it’s more neighborhood (stores), more streetfronts and lifestyle centers that we’re playing with and seeing great success with as well. 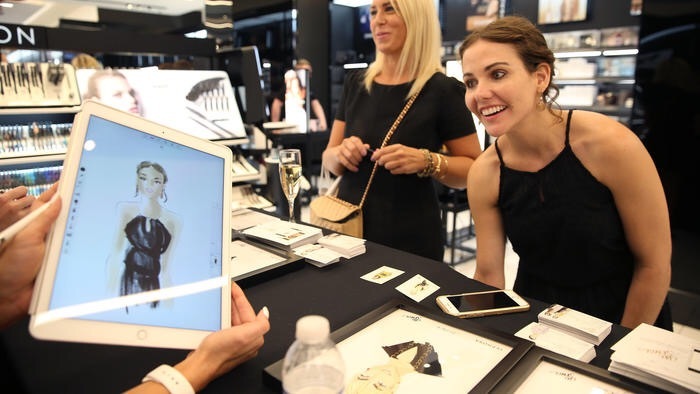 Q: A lot of people are surprised to see Sephora inside J.C. Penney. Why do you think it makes sense for Sephora? A: The partnership is over 10 years old now, and it’s been incredibly successful for both parties. What I love about the partnership, it allows us to reach a client we otherwise would never reach. It has allowed us to get a larger footprint, get a different client, and back to the strategy of how do we grow prestige beauty, how do we get people to trade in and trade up. It was a fearless decision 10 years ago for sure. Posted on August 30, 2016, in #international, #retail. Bookmark the permalink. Leave a comment.